Our suite of products arranges your IT affairs at once. Our productivity suite, gives you access to all the tools you need in the office. 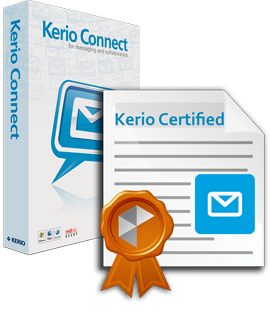 Kerio Connect takes care of your email, calendar and notes. Always available, wherever you go. vBoxxCloud makes it easy to save, share and edit your files in a secure cloud. Hosted in Europe. Quality hardware equipped with SSD storage allows your website to load extra fast. Arrange all your IT wishes at once! And schedule a personal demonstration with one of our experts! Kerio Connect in the Cloud gives you permanent access to your own e-mail accounts, including maintenance and support from anywhere around the world. Kerio has many extra features, such as an online agenda, address book, notepad and contact list that is accessible all over the world and synchronizes with all your devices. vBoxxCloud is a business solution that helps you manage your company files. Share files internally by working together in team folders. All adjustments are immediately synchronized to all colleagues. Do you want to share files with your customers or a partner? Use free guest users to share securely with external users. At vBoxx we have created a SSD Web Hosting bundle that has all the tools you need to publish your website online. Managing your website is easy, if you are also looking for a PHP- & MySQL based solution, you have come to the right place. Your visitors deserve a fast website! Looking for secure cloud storage for your files? Try vBoxxCloud and keep your documents under control! Where is my All-In-One Hosting package hosted? Your data is stored in sustainable data centers in the Netherlands with state-of-the-art physical access security. Our datacenter is ISO-27001 certified and we encrypt your files to protect them against viruses and hackers. What if I want to upgrade more users/ storage? Each additional user costs € 14.50 per month. Additional storage packages for vBoxxCloud cost € 2.00 per month for every 50GB. The amount of users and storage can be adjusted at any time in the client portal. Is the subscription on a monthly basis? You can only purchase our all-in-one package on a monthly basis. This allows you to increase or decrease the amount of users and storage at any time. The subscription includes support and can be canceled monthly. Can I order the products separately? Yes, you can also purchase the products separately. Via the "More Info" button you can go to product page to order the product separately.